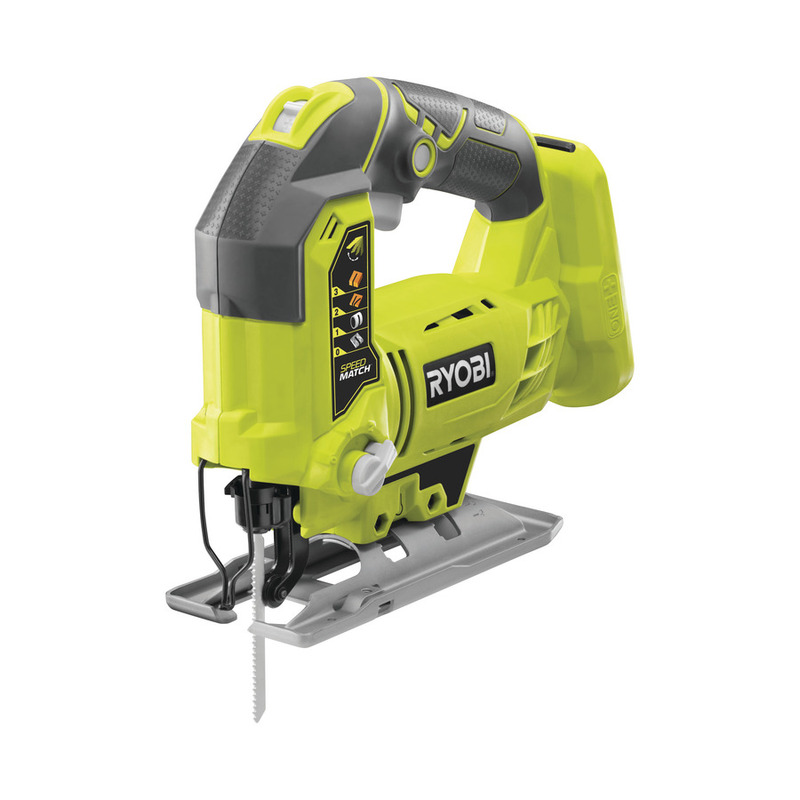 RYOBI ONE+ 18V CORDLESS JIGSAW WITH LASER G4 R18JS-0: Part of the One+ range with 25mm stroke length and up to 3000 strokes per minute to give excellent cutting performances. Comes with 1 handed speed control for easy speed adjustment to suit different applications. 4 stage pendulum action for enhanced cutting performance. Tool-less blade clamp for quick and easy blade change - LED worklight illuminates the cut line. Easy base adjustment for 0° to 45° bevel settings.